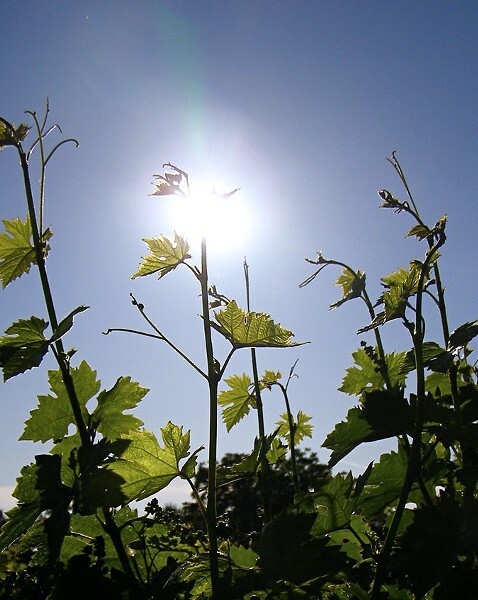 Vines can beat the heat, but what about the wines? If our summers seem to have become one endless heat wave, one high pressure system after another chasing away the North Bay's saving grace—the cooling incursion of ocean breeze and fog—wine drinkers can at least seek relief from oppressively lingering evening heat with a glass of chilled rosé, or at least wet their hat with a spritz of Pinot Grigio. But how are those grapevines holding up? The vines are going to be fine; it's the wine that we should be worried about, as a report published in the journal Science Advances earlier this year failed to address. Don't blame the authors for the misleading headlines that online outlets picked for stories on the study, one reading, "Cheers! Climate change will not destroy grapevines," another, "Worry not, wine drinkers"—although the report itself bears the somewhat click-baity title: "Drought will not leave your glass empty: Low risk of hydraulic failure revealed by long-term drought observations in world's top wine regions." You don't need to understand the super-sciencey terms in the report to know that the word "quality" is entirely missing. And wine quality is entirely the point: we drink wine because it tastes good, not because the vineyard managed to not die from hydraulic failure. Wine flavor, and its perceived freshness, is indeed affected by higher temperatures—nighttime low temperatures in particular, which multiple other studies have shown are rising faster than daytime highs. Hoping to gain insight into what the future holds for wine in a hotter climate, I recently attended a tasting presented by a winemaker with experience in the sun-scorched hellscape of Arizona. Actually, though, compared to Phoenix, it's often 20 degrees cooler in the Willcox AVA, a main winegrowing region of Arizona, according to Aridus Wine Company's Lisa Strid. The press and consumer event was the first in a new series of visits by winemakers from other American regions hosted by Napa Valley Wine Academy, which offers classes and certifications in wine education. But even the higher elevation Chiricahua Foothills area isn't cool enough to produce interesting Chardonnay, Strid concedes, and it's not at all unusual to bring grapes to the winery at a pH of 4.0, "or thereabouts." Standout reds from Aridus include a lushly blackberry fruited Graciano and a convincingly stemmy, grapefruity Sauvignon Blanc. The wines are mostly sold through the tasting room, so look them up next time you're walking around Scottsdale, seeking relief from hydraulic failure. Napa Valley Wine Academy, 2501 Oak St., Napa. 855.513.9738. napavalleywineacademy.com. Aridus Wine Company, ariduswineco.com.